Just contact me if you have any questions about visas in Brazil, I’ll be able to give you my advice and help you find the best way to get a visa in Brazil. You want to make a visa to live and work in Brazil, right? There are many people asking a lot of money to help you to make a visa for Brazil. But actually I did it alone. As entrepreneur starting a business in this great country I could not afford to spend between R$ 15-25 thousands for a visa service. In fact there are many visa-services (like Visto Brasil) but I highly not recommend them, the service is really really bad and you may not see your money anymore. So pay attention and try to do it yourself, as I did. I decided to make all the needed steps to have the visa and find out that it’s not so difficult, actually it was quite easy if you find the right people helping you and you have the right check list to follow. This post will help you make all this possible and find out the right way to make your visa as foreigner investor in Brazil, to be able to work and build your company as entrepreneur in this great, but not easy country. Please if you have any specific question tweet me! 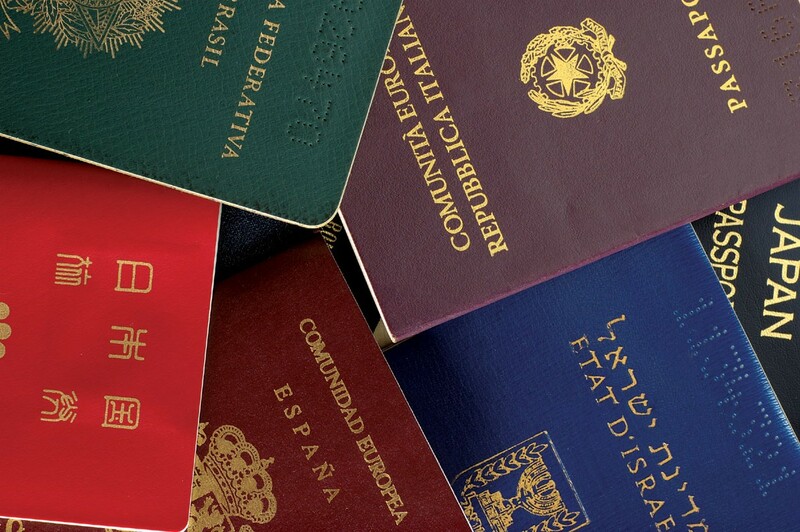 Beware that there are many other types of visa depending on your personal situation. I’m an entrepreneur, and decided to make this type of visa, but you have several others. What you have to do in few points to be a foreigner investor in Brazil and get a permanent visa? Find a local partner. An existing company (legal entity) or person (natural person) with its official residence in Brazil. Wanting to invest R$ 150.000 (€60.000) or more in an existing or new company. The company have to make all the paper work before you invest. Actually, invest the money in the company. Send, follow and wait the decision of the Department of Labour, it’s quite fast, maximum 30 days if the file is perfect. Go at the consulate to get the visa on the passport, 5-10 working days, but could be faster if you know people inside the consulate or you pay a tax to make it faster. STEP 1. As investor, you first need to find the right investment. It’s your money you are going to use, so it depends how you manage it. The best way is for sure to find a company or a partner that knows the market and knows where the best investments are. Depending on the market you can participate to the many trade fairs organized every week in São Paulo, the economic capital of Brazil. There are sites that can help you find the best one: Trade Shows, Events Eye, and many others. The chose is important, local partner will get the responsibility to be Administrator of the company you will invest and you cannot give chose the wrong person. If you need help just tweet me and we will find the right solution for you. STEP 2a. Let’s say that you have the right local partner. Probably you have chose to open a new society. If this is situation, keep reading. If not just go to step 2b. The easy way to open a company in Brazil is to find a good accountant. But you have to be clear about what the company will do, how much you want/can invest and where. What. Have a look to the online database of economic activity (CNAE, Classificação Nacional de Atividades Econômicas) from the Federal Departement of Finance. You will have to chose a main activity and add all the activities you want and think you will include in your business. How much. As written, at least you have to invest R$ 150.000 to ask for the visa, you can invest less, but the visa will be more difficult to get because you will have go through the evaluation of the commission of emigration. Where. Brazil is like US or Switzerland, a federation. And taxes can be really different from state to state, often creating a mess. But taxes are not the only criteria to lead the choice of the place. Your industry need also to be included (i.e. Manaus is one of the most important industrial city of Brazil, see this article from Financial Times), there are hubs for technology and others more adapted to finance (i.e. São Paulo). In any case, beware that due to the fact you are a non-resident associate, the new company will not be able to follow the simple national taxes’ rules. If you invest more than R$2 millions you may need to find a good lawyer able to give you the best advice when writing the contract of your company. Keep tweeting for info and links about professionals in Brazil. Write, sign and register the contract at the local trade register (junta comercial). If you are not physically in Brazil, depending on the states, you may need to send copies of several documents. But normally it’s the administrator that have to show this kind of document, and the administrator has to be in Brazil, it’s easier for him. STEP 2b. If you chose to invest in an existing company, it’s a little easier. You need to collect several documents of the company and make a new version of the contract to show that you are entering in the capital (your investment needs to be included in the capital). Bank account number for international transfer. Depending on the type of society, you may have to present other documents too. The administrator will have to go in person at one of the Central Bank offices to get the first account. You could do all this process online, but you need an e-CNPJ (national company e-number). STEP 5. Once you have got the access to the database, you have to register the company and the foreign investor in the database its-self by opening and requesting CADEMP numbers. STEP 6. You are now ready to declare your investment to the Central Bank. You have to request a RDE-IED. This number together with the CADEMP numbers need to be given to your foreign and the local bank. The money your are ready to send from abroad to Brazil, needs to go together with these numbers. STEP 7. Make the money transfert from a foreign bank account that have to be at your name, to the bank account of the company. Remind to add the RDE-IED and the CADEMP numbers to the transaction comments. Before sending the money, speak with your bank consultant but also ask to speak with the people of the foreign service. These guys need to be aware about your money coming soon. Once you send the money, the bank will register the entrance and make the necessary with the Central Bank of Brasil. STEP 8. Once the money is on the bank account of the company, you can go back to the Central Bank database to allocate the money to the capital of the company and print some documents you need for the visa. You will need to print the pages: MRDE614, MRDE614E, MRDE614A, MRDE612C, MRDE614B e MRDE614C. STEP 9. Write a business plan by following the structure defined in this official document. STEP 10. Pre-register online the visa request directly at this site and fill in the form about the candidate for the visa. Pay the tax (R$ 16,93) by printing out the online bill. STEP 13. Now you have to wait, normally 3o days. To follow the evolution of your request, just go online. STEP 14. If everything is ok, you should get the visa. Now go to your Brazilian consulate with your passport, a passport picture, money in cash, and this filled form. The consulate will ask you to come back to get back your passport. STEP 15. Wait between 3-7 days and go back to the consulate to get back your passport. Now you have just to go to Brazil, and do not forget to register at the federal police within 30 days from your entrance. 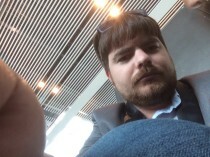 Swiss Digital entrepreneur currently based in São Paulo. 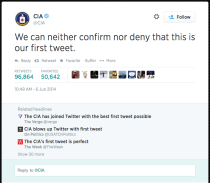 Have you seen the first CIA Tweet? We can neither confirm nor deny that this is our first tweet. — CIA (@CIA) June 6, 2014 It’s cute! A lovely first tweet where they are not revealing if it’s actually their first tweet or not. Spam nas redes sociais è inganação.. de verdade! Multipeer connectivity: cheap way to connect the missing 4B people?